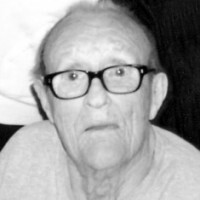 Ralph Westfall’s father, Emerson Westfall, passed away this past Saturday, May 28, 2011. The Westheights Church family extends its condolences and prayers to Ralph and Carol at their loss. God bless them with comfort and peace at this time. Following is from the KW Record: WESTFALL, Emerson H. It is with sadness and heavy hearts we announce the passing of our beloved father on Saturday, May 28, 2011 at his home, Columbia Forest Long Term Care at the age of 93. Beloved husband of the late Delores (nee Salm) Westfall (1985). Loving father of Ralph (Carol), Wayne (Barb), Albert (Pat), Dennis, Linda, Ken (Debbie), Bernie (Jennifer), Terry (Phyllis). Dear grandfather to nine grandchildren, nine great-grandchildren and one great-great-grandson. Emerson will be fondly remembered by his special friend Sophie. Predeceased by his son Patrick (1989) and infant son Henry, parents John H. (1947) and Matilda (1920) Westfall (nee Lorch), sister Helen Demmerling (2004) and a grandson and great-granddaughter. Emerson was an avid sports enthusiast and animal lover. The family of Emerson Westfall will receive relatives and friends from 7-9 p.m. on Tuesday, May 31, 2011 at the Henry Walser Funeral Home, 507 Frederick St., Kitchener, 519-749-8467. A private family graveside service will take place at Woodland Cemetery on Wednesday, June 1, 2011. As expressions of sympathy donations to either St. Mary’s or Grand River Hospital Foundation would be appreciated by the family (cards available at the funeral home). Special thanks to all the care givers at Columbia Forest Long Term Care for all the compassion and loving attention given to our father. He will be sadly missed by all who loved him. Visit www.henrywalser.com for the Emerson Westfall memorial.